John Paul Evans is a Welsh born photographic artist who now lives in Devon. His work explores the polemics of representing the male figure within a patriarchal context. He has exhibited nationally and internationally. Solo exhibitions include Bed Sheet Dreams 2005 ‘The Room Gallery’ London. A Different Point of View 1999, CBAT Cardiff & MAC centre Birmingham, Dark Secrets…Mortal Thoughts 1997, a touring exhibition commissioned by Newport Museum & Art Gallery, and Hunks & Heroes 1996, Castlefield Gallery Manchester. Selected group shows include Unreliable Truths 2008, The Glynn Vivian Gallery, Sitting Room 2007-8, and Barbarella 1998-9, touring exhibition for Kent Council. Selected publications include; Male Bodies by Emmanuel Cooper, 2004; Art Tomorrow by Edward Lucie-Smith, 2003; Fully Exposed by Emmanuel Cooper, 1995. 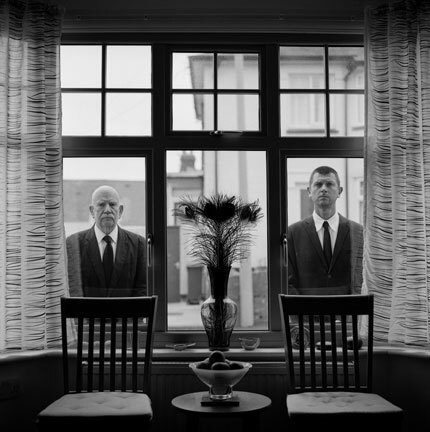 John Paul is currently Senior Lecturer in Photography at Swansea Metropolitan University.